How lovely are your, um, mini-lites. 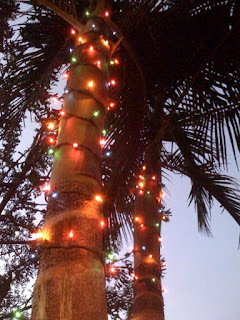 I can't say I had ever put up xmas lights while wearing shorts prior to this afternoon. We cut our tree yesterday. "slay" me or "sleigh" me. Yuk yuk yuk.